This is the, uh, whateverth installment in a series on using your common sense to fact check data, even when the data is tantalizingly useful for the point one is trying to make. For the last decade or so, global warming activists have used major fires as further "proof" that there is a global warming trend. Often these analyses are flawed, for a variety of reasons that will be familiar to readers, e.g. 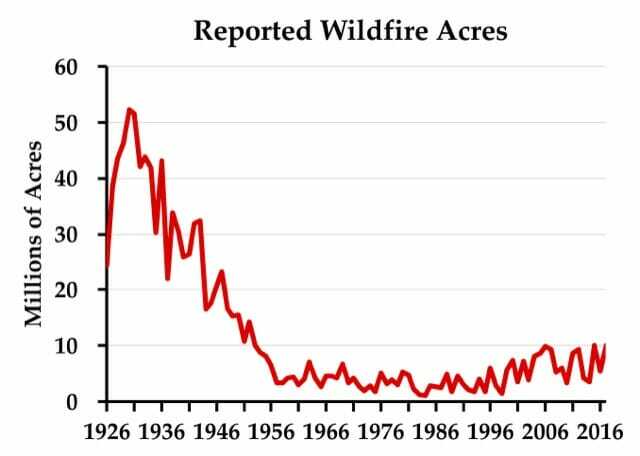 Acres burned is a TERRIBLE measure of global warming, because it is trying to draw global trends from a tiny fraction of the world land mass (western US); and because it is dependent on many non-climate variables such as forest management policies and firefighting policy. 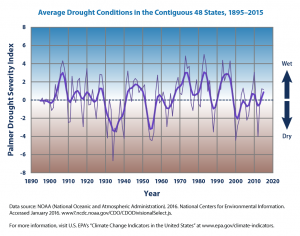 An even better metric, of course, is that there IS an actual upward trend in temperatures. 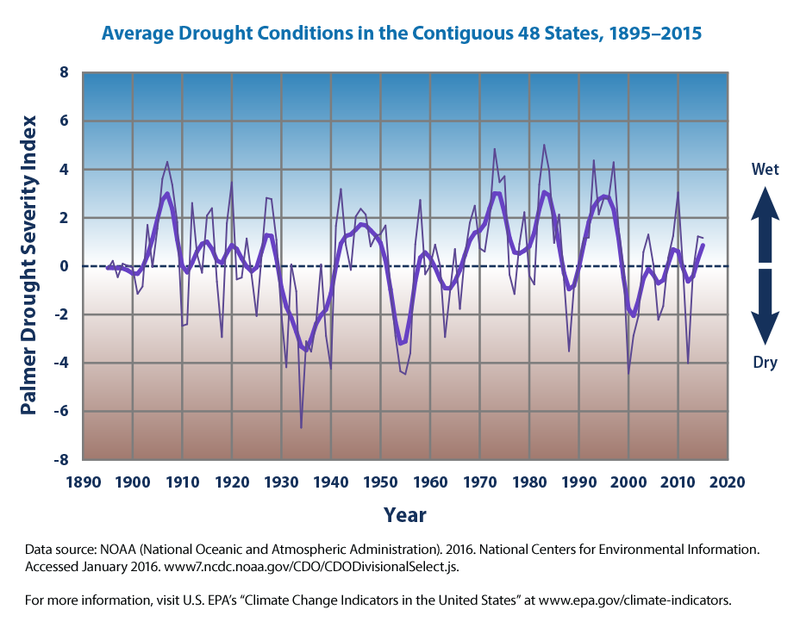 There is not, however, much of an upward trend in bad weather like drought, hurricanes, or tornadoes. In this context fire is a third order variable (temp--->drought---> fire) which makes it a bad proxy, particularly when the first order variable is telling the tale. I am pretty sure that I have avoided ever using this piece of skeptic catnip (though I could be wrong, I can have moments of weakness). The reason is that nothing about this chart passes the smell test. While it is true that the 1930's were super hot and dry, likely hotter in the US than it has been this decade, there is absolutely no reason to believe the entire period of 1926-1952 were so much higher than today. Was there a different fire management policy (e.g. did they just let all fires burn themselves out)? Was there a change in how the data was recorded? Here is my rule of thumb -- when you see a discontinuity like this (e.g. before and after 1955) you better have a good explanation and understanding of the discontinuity. This is not just to be a good person and be true to good scientific process (though we all should) but also from the practical and selfish desire to avoid having someone come along who DOES know why the discontinuity exists and embarrass you for your naivete. I have never trusted this chart, because I have not really understood it. This week, the Antiplanner (who before he focused on transit focused most of his writing on the Forest Service and forest policy) has an explanation. There you go, the discontinuity seems to be from a change in the way the measurement is calculated. By the way, I work closely with the Forest Service every day and mostly this partnership is rewarding. But I can tell you that the blank check still exists for fire suppression costs and results in exactly the sort of inefficient spending that you would imagine. Every summer, much Forest Service work comes to a halt as nearly every manager and professional gets temporarily assigned to fire -- something FS employees love because they get out of the grind of their day job and essentially get to go camping. Is the Forest Service Requiring Permits for Photography? Yes and No. The news has been zooming around the Internet that the US Forest Service (USFS) is going to require permits to take pictures on public lands. It was the first I had heard of this, which is odd in one sense because I actually operate tens of thousands of acres of US Forest Service lands, and in fact operate the ones with the most visitation (on the other hand, we are often the last to hear anything from the USFS). The regulations don't apply to all USFS lands, but to the federally-designated wilderness areas they manage. Even this is confusing, since the permitting authority does not apply just to wilderness areas, but to anywhere in the USFS. But even the wilderness areas constitute a lot of land, and often the most scenic. Ostensibly, the regulations apply only to commercial filming, but how the USFS is going to distinguish between a commercial photographer and well-equipped amateur, I have no idea. The distinction seems to lie in what the photography will be used for, and since this use happens long after the individuals have left the land, I am not sure how the USFS will figure this out. Is the US Government going to start suing magazines for nature pictures, claiming a copyright on the scenery? What happens if I take it for my own use, then discover I have an awesome picture and decide to sell it. It is hard to write laws that depend on reading people's minds in determining if an act is legal. The Federal Wilderness Act gives the government a lot of power to limit uses in a designated wilderness area. Motorized vehicles and tools are banned, as were bicycles more recently. My company operates in only one wilderness area, a canoe run at the Juniper Springs recreation area in Florida. If a tree falls across the stream, we have to float down in canoes and take it out with hand axes. We have to open and inspect coolers of those going down the run to make sure no banned items are in them. In other words, wilderness areas definitely have a higher level of restrictions than the average public land. The USFS has undermined their own argument by making exceptions based on the purpose of the filming. Apparently only commercial filming hurts ecosystems, not amateur photography. And apparently commercial filming that has positive messages about the USFS are OK too. Its just commercial filming that goes into a beer company ad that hurts ecosystems. You see the problem. If it's the use itself that is the problem, then the USFS should be banning the use altogether. By banning some photography but not all based on the content and use of that photography, that strikes me as a first amendment issue.The best parallel I can think of is in Venezuela. There, the government claimed a paper shortage required it to shut down certain printing to conserve paper, and then proceeded to shut down only the newspapers it did not like. I suppose it could claim that it was not censoring anyone, just taking steps to deal with the newsprint shortage. Similarly the USFS claims it is not limiting anyone's first amendment rights, it is just protecting the wilderness form a dangerous use. A few years ago, the USFS tried to reverse an expensive mistake it had made. The US government issues lifetime senior passes that allow free entry and half off camping for seniors. This is an expensive giveaway, paid for by taxpayers. But the USFS had gone further, requiring that concessionaires like our company also accept the pass and give half off to seniors. 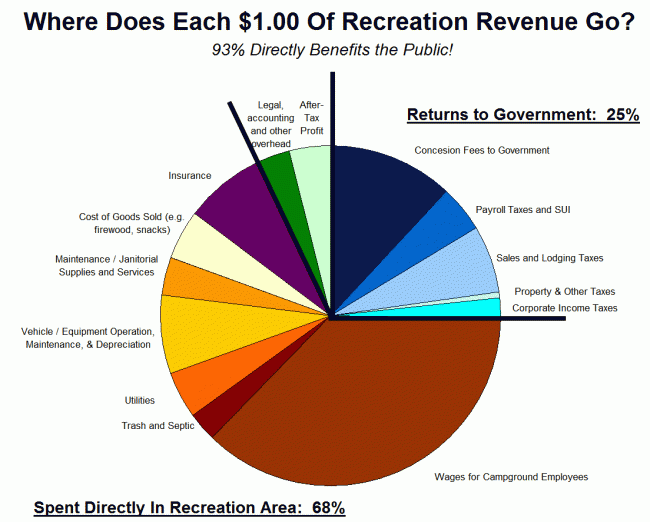 While giving half off to seniors at government-run campgrounds had to be funded by taxpayers, concessionaires only have use fees to fund operations. So to give half off to seniors, prices have to be raised to everyone else. The senior discount requirement was raising prices (and still does) $4-$5 a night for every other camper. Well, long story short (too late!) the US Forest Service folded under the organized pressure of senior groups. And my guess is that they will do so again here. Unlike with the National Park Service which has a clear mandate and strong public support, few people get misty-eyed about the USFS, which means they are always sensitive to bad news that might hurt them in the next budget fight. PS -- Is someone going to go back and bill Ansel Adams' estate? Isn't he exactly the sort of commercial nature photographer that this rule is aimed at? Update: I have talked to a number of people in the know on this. Apparently what began as a desire merely to stop high impact filming in the wilderness -- full Hollywood movie sets with catering trucks, etc. -- has gotten taken over by a large group in the USFS that is at best skeptical and at worst hostile to commercial activity. They would explain these rules, at least in private, by saying that anything commercial is by definition antithetical to the very concept of wilderness that they hold in their heads, and that thus all commercial activity needs to be banned in the wilderness because it is inherently corrupting.